Throughout her life, she took on many roles from a nursing aide in high school to her most cherished position as school nurse at OLPH. Kathy was an eternal caregiver, always placing others before herself. She was often seen walking the streets of south Toledo with Jeff and her treasured boxer, Cubby. Kathy was an incredibly artistic person and enjoyed everything from t-shirt making to painting ceramics. She was most happy when outside working in the yard. Kathy loved talking on the phone to her beloved sisters, children and close friends. She will forever be remembered for her ability to listen first and give sound advice second. Kathy was known for her strength and ability to overcome adversity. No matter the situation, she managed to bring laughter and a smile to those who surrounded her. Her spirited sense of humor will be sorely missed. Kathy was preceded in death by her parents, first husband and two infant children. Kathy is survived by her best friend, number one confidant and love of her life, Jeffrey Paul Veitch. She is also survived by her children, Jessica (Adam) Bennett, Adrienne (David) Estes and Jeffrey Veitch Jr. She leaves behind her grandchildren, Henry and Oliver Bennett and Grace Estes. Surviving as well are her sisters, Jenifer, Angela, Ruth, Amy, Jean and Jodi; many nieces and nephews, and countless special friends, including Jan, Janet and Louise. On Friday, February 13, 2015, Barb lost her more than two year battle with pancreatic cancer, leaving peacefully from her home that evening. She will be sadly missed by all who knew her and whose lives she touched while visiting this world. Barb was born in Toledo in 1946, graduated from Notre Dame Academy in 1964 and continued her education at The University of Toledo. While still in high school, she worked part time at Ohio Bell and Rogers National Research, continuing off and on at RNR part time while raising a family. In 1986, she became owner/partner in Survey Research Associates, a small marketing research company specializing in automotive research where she stayed until her retirement in early 2012. Barb enjoyed this career mainly because of the wonderful people she met and worked with and the requirement to travel around the country. Her favorite vacation was a spring week spent in Hilton Head, SC, where she enjoyed sunning, sightseeing, eating at nice restaurants and shopping – not necessarily in that order. One of her more recent passions was watching tennis, especially traveling to Cincinnati for the Western-Southern Open in August to see her favorite player, Rafa, and to visit with her granddaughters. She also made several trips to London, Paris and most recently to Annecy, France and Geneva, all cities that she dearly loved. She thoroughly enjoyed the many summer afternoons and evenings in the quiet and serenity of her back porch by the water. And, of course, Saturday afternoons in the fall were spent watching Notre Dame football. She was preceded in death by her mother and father, Eugene and Helen Kujawa, and her uncle, Norton Cassady, a retired Captain with the TPD. Surviving are her husband/partner of 19 years, Richard Billmaier; sons, Michael and Jeffrey (Michelle); sister, Kathy Keim; two granddaughters, Kyra and Emma; stepchildren, Brent (Joy) and Brooke Billmaier; plus her cat, Murphy. Visitation will be Wednesday, February 18, 2015, at the Coyle Funeral Home, 1770 S. Reynolds Rd. from 2:00-8:00 p.m. where a scripture service will be held at 7:00 p.m. Funeral services will be held on Thursday, February 19, 2015, beginning at 9:30 a.m. in the mortuary followed by a Funeral Mass at 10:00 a.m. at St. Patrick of Heatherdowns Church. Interment will be private. In Memory of JOHN L. “JACK” HART 1927 ­ 2013 John L. “Jack” Hart; age 85, noted local educator, Teen Town host and avid University of Toledo supporter; born and raised in Toledo, Ohio; passed away October 3, 2013 at the Hospice of Northwest Ohio, Toledo, surrounded by his loving family. Throughout his career he was active in many committees, organizations, and outside interests where he volunteered much of his time. Hart was born October 15, 1927 to Leona and John P. Hart (Both passed by the time Jack reached eight years old). His aunt Helen HartYoung came into his life to raise him. He attended grade school at Blessed Sacrament and Sacred Heart; graduated from DeVilbiss High School 1945; enrolled at the University of Toledo immediately following high school and then was drafted into the U.S. Army Medical Corps, and served for almost two years as an x­ray technician. Then he returned to Toledo to complete a Bachelor’s Degree in Education 1950 and a Master’s Degree in Administration in 1953. Many Toledoans remember Hart from his long tenure as principal at DeVeaux school, where he served for twenty years. Some of the awards and recognitions Jack received include the Toledo public school leadership plaque; in 1987 had his name and photo installed at the DeVeaux “Hall of Fame” instituted by the student body with the inscription “Principal Hart, a man and his magic. You open your heart to us and tell we are somebody. You tell us to believe and we will achieve. You are special.” In 1988 he was named educator of the year by District 1 Ohio PTA; in 1988 was selected as one of the eight most outstanding educators in the state of Ohio; in 1990 Board of Education named the DeVeaux Junior High field house the “ John “Jack” L. Hart Field House” in his honor; and in 1990 had his name inscribed in the cornerstone of the DeVeaux Junior High addition, for being instrumental in its planning. Hart was a member of the Toledo Chamber of Commerce for Effective Education; Knights of the Round Table (St. Francis DeSales High School); Toledo City­Wide School Testing Program; the Paul Block Committee for Recreation, a Trustee Member of T.R.A.P. “Toledo Association of Administrative Personnel”; and a past president of the elementary principal’s association. Hart was an avid supporter of UT athletics and was an active member of its many support organizations. The organizations include the UT Alumni Association (25 years), the Downtown Coaches Association (25 years) where he was president in 1996­97, a full­time Volunteer and Chairman of all 50/50 ticket sales for all football and basketball at UT. For over 25 years he worked on the Downtown Coaches Raffle committee and led the ticket sales for over 10 years. In 2000 Mr. and Mrs. Hart won the coach of the year award, in recognition of their outstanding service from the Downtown Coaches Association and the UT Athletic Dept. Scholarship Fund. He won the UT 12th Man Award in 2002. He was a strong supporter and member of the UT Men’s and Women’s Basketball Fan Club. As Highland Park Teen Town director, from 1954­ 1967, Hart became the common adult thread for years of adolescents in South Toledo. Teen Town held weekly dances at the Highland Park shelter house. The school principal by day became deejay by night. Several outdoor events drew over 2,000 youth. “Jack Hart was the reason Highland was so successful,” said Jenny Price, at one of the many Teen Town reunions, one of which drew over 700 attendees, some from out of the country. Jack was an avid tennis player who won several senior team division city, district and state championships. A celebration of his life will be held on Saturday, October 12, 2013 at St. Patrick of Heatherdowns Parish, 4201 Heatherdowns Blvd., Toledo at 10:00 a.m. He will be interred at Toledo Memorial Park. Arrangements are by the Newcomer Funeral Home (419-­381­-1900). Left to cherish his memory are his wife Sophie, his children Dr. John Hart, a professor and chair at Hawai’i Pacific University and Sherry Hart, a retired Toledo special education teacher and his granddaughter Jacqueline. The family, at Jack’s request, invites donations to the University of Toledo Rocket Fund: Scholarships and the DeVeaux School library resources fund in lieu of flowers. Arniese H. Dybala, age 93, long time resident of Maumee, Ohio died on Wednesday, February 11, 2015, at UTMC. She was born on July 10, 1921, in Toledo, Ohio to Clemens and Winifred (Berry) Turner. Arniese retired in 1992 from Maumee High School’s Food Service after 28 years. She was a member of St. Joseph’s Catholic Church and the Altar and Rosary Society. Arniese is survived by a loving daughter, Darlene (Scott Eyster) Dawson; a caring son, Randy (Leslie); grandchildren, Hilary, Melissa, Gregory, Kyle, Kevin, Tori, Ashley and great-grandchildren, Connor, Ellie, Mason, Joshua, Trinity, Chetori and Steven. Also surviving is Mary Koder, special care taker. 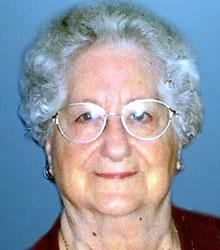 She was preceded in death by her husband of 52 years, Leonard and daughter, Lynnel Brassfield. Devoted husband and father, Ronald F. Radke, 73, of Holland, Ohio, passed away February 13, 2015, surrounded by his loving family. Ron was born November, 3, 1941, in Sausalito, California to Ted and Rita (Guerin) Egbert. In 1944, father Ted was killed in the Pacific Theater during World War II. Later, his mother Rita moved to Toledo, Ohio and married Robert “Fritz” Radke. Ron was a graduate of Libbey High School. He served in the United States Air Force from 1961 to 1964 and was the third-generation owner of Rad-Mar Press. On August 3, 1963, Ron married his wife, Bonnie (Cornell), and last year they celebrated their 51st wedding anniversary. 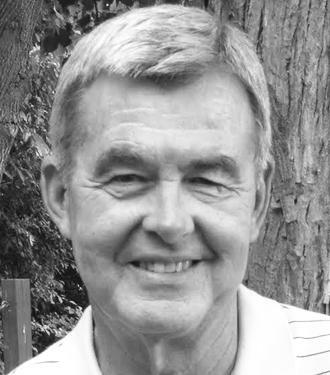 Ron loved boating and was a member of the Maumee River Yacht Club for many years. He also loved golfing and was often recognized as one of the Toledo areas best young amateur golfer. But above all, it was his family that meant the most to him. He will be remembered for his love of life and for living it to the fullest. Ron is survived by his loving wife, Bonnie; children, Anne (Bob) Brown, Amy (David) Pett; grandsons, Allen and Nicholas; sisters, Judi (Jack) Dauer and Jeanne (Bob) Rustic; brother, Rob (Lori) Radke, and many nieces and nephews. He will be greatly missed. Friends will be received from 2 p.m. to 4 p.m. on Wednesday, February 18, 2015, at Walter Funeral Home, 4653 Glendale Avenue, Toledo, Ohio followed by a memorial service at 4 p.m. A Celebration of Life will be held following the service. In lieu of flowers, memorials may be made to Aurora House, Toledo, Ohio or Hospice of Northwest Ohio. Mrs. Pearlena Holston, 82, of Toledo, OH, passed away Wednesday, December 31, 2014, in the home of her son and in the presence of her loving family. She worked as a certified medical practitioner prior to becoming self-employed as the owner/ operator of the Holston’s Group Home. 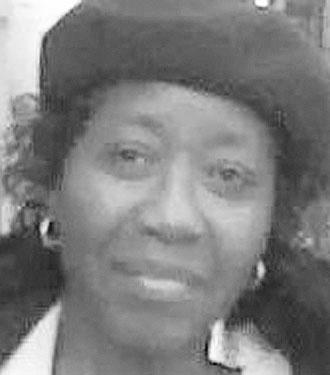 She was the widow of Hosie Holston Jr. and leaves to cherish her memory, sons, Larry (Cynthia), Hosie III and Gary (Carla) Holston; daughter, Lurena R. Hearn-Byrd; 14 grand and 29 great-grandchildren; sisters, Lula Richardson, Catherine Wilson, Leola Holston, Lucretia Davis and Mary Wilson, and a host of other loving relatives and kind friends. Family Hour/Wake will be 10 a.m. Thursday, January 8, 2015, at the Glass City Church of Christ, 901 Hoag Street with Funeral Services at 11 a.m. Dr. Robert G. Birt Jr., Pastor and Officiant. Catherine Louise (Thornton) Berry, 100, passed away Saturday, January 31, 2015, at Kingston Residence of Perrysburg. She was born in Perrysburg, Ohio on March 8, 1914, to Arthur and Rosalia (Haas) Thornton. Catherine graduated from Perrysburg High School in 1931. She was a beautician for over 70 years. 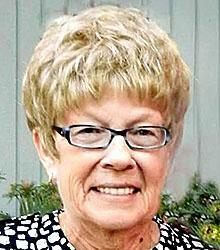 She worked for various shops around the Perrysburg area and opened Catherine’s Beauty Shop in 1963. 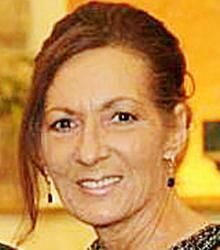 She was a devoted member of St. Rose Catholic Church where she enjoyed working as a teller. Catherine was a caring person who always gave to others in need. She was a loving mother, grandmother and great-grandmother. Catherine was preceded in death by her parents; husband, Claude G. “Bus” Berry; son, William H. Berry; son-in-law, David Miran, and six brothers and sisters. She is survived by her daughter, Claudia Berry Miran; sons, Tim (Martha) Berry and Tom Berry; eight grandchildren, and seven great-grandchildren.